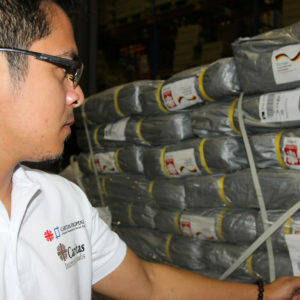 The National Secretariat for Social Action (NASSA)/Caritas Philippines is the humanitarian, development and advocacy arm of the Catholic Church in the Philippines. It was created by the Catholic Bishops’ Conference of the Philippines (CBCP) in 1966 and mandated to accompany the poor and marginalized in the just and legitimate struggle for social justice and transformation. Alay Kapwa (Offering of Oneself). This flagship program is the Lenten evangelization and fundraising program of the Philippine Catholic Church. Currently, it serves as emergency fund during calamities and other major social concerns. Relief and Rehabilitation. In partnership with Caritas Internationalis, NASSA/Caritas Philippines implemented various emergency, recovery and rehabilitation programs since the 1960s. Its biggest response to date is the three-year Typhoon Haiyan rehabilitation program called #REACHPhilippines covering 166 communities across 9 provinces. SEARCHDev. Launched in 2017, this three-year program is focused on providing technical guidance to improve the competencies of the 20 Diocesan Social Action Centers (DSACs) in undertaking humanitarian response, adapting climate and disaster-resilient livelihoods, and formalizing institutional policy development, support systems and structures. Project SHARED. 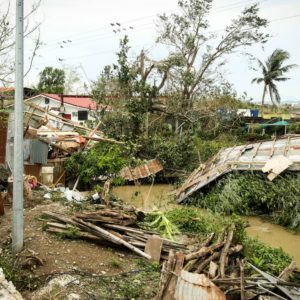 In partnership with the Catholic Relief Services, project shared is a diocese to diocese approach in managing risks in disaster-prone areas in the Philippines. EU-PEACH Project. Supported by the European Union Aid Volunteers, the EU-PEACH Project aims to strengthen organizational and technical competence in preparation for disasters. HIV-AIDS. 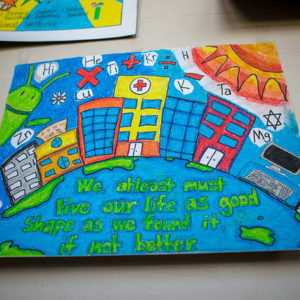 This program aims to continue the campaign for HIV-AIDS prevention and support integrated HIV advocacy. Lead to Heal. In partnership with Future by Design Pilipinas and the Development Academy of the Philippines, this is a 14-month transformational leadership program for key movers and workers at the national and diocesan levels. Self-Help Group. This microfinance program inspires every poor individual especially women to unleash their potential and to perpetuate the culture of savings. Sustainable Agriculture. 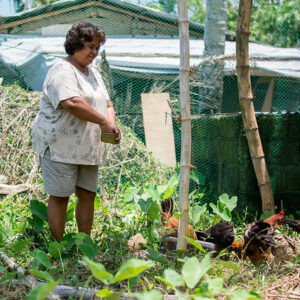 It focuses on overcoming agricultural issues and challenges associated with climate and food production. It also contributes to the alleviation of poverty by supporting low-cost input production technology to increase family incomes and food security. FARMFIRST. Launched in 2015, FARMFIRST aims to empower vulnerable communities and develop model communities for climate change adaptation and sustainable development. Peacebuilding, Human Rights and Good Governance. NASSA/Caritas Philippines has always been a supporter of advocacies and actions, defending the rights and dignity of workers. Agrarian Justice. This program supports the call of farmers to agrarian reform and land tenure and ownership. NASSA/Caritas Philippines serves as the secretariat for the Social Action Network composed of the Diocesan Social Action Centers (DSACs) organized in 85 dioceses across the country. It is also a member of Caritas Internationalis. 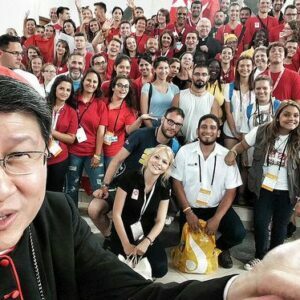 Caritas youth was celebrated at World Youth Day 2016 with Cardinal Luis Tagle and young people from Caritas from across the world. 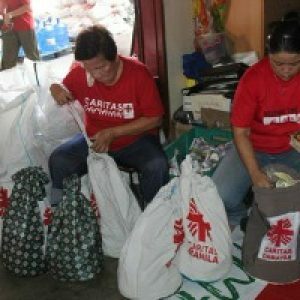 Caritas launched one of its largest relief operations in recent years to help 1.8 million people in the immediate aftermath of Typhoon Haiyan with emergency aid and in the two years that followed. The Philippines are made up of around 7000 islands – which means that water is never far away. But finding fresh water for drinking and domestic use was a real struggle for many poor communities even before Typhoon Haiyan in 2013. 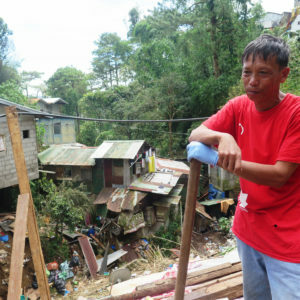 Caritas Philippines is preparing to help 25,000 of the most vulnerable people affected by Typhoon Koppu, prioritising people who are in hard-to-reach areas. 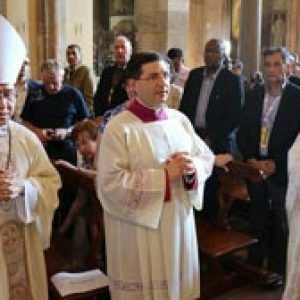 Cardinal Luis Antonio Tagle of Manila, Philippines has been elected as the new president of Caritas Internationalis at the confederation's 20th General Assembly in Rome. As Pope Francis makes his historic wisit to the Philippines, Caritas Philippines is asking for help in addressing the issue of climate change. The pope will meet families who survived natural disasters like Typhoon Haiyan (Yolanda). In 2013, the Archdiocese of Palo in Leyte was devastated by Typhoon Haiyan. Now their emergency unit is giving relief assistance to people affected by Typhoon Hagupit in Catbalogan City, Samar.